Adalimumab has emerged as a useful drug for treating patients with Crohn’s disease (CD) and ulcerative colitis (UC), not responding to conventional therapy. There is limited data on effectiveness and safety of adalimumab biosimilar in patients with inflammatory bowel disease (IBD). Patients with IBD who received at least one dose of adalimumab biosimilar from October 2015 to February 2018 were retrospectively included in this multicenter data analysis. Its effectiveness in inducing and maintaining clinical remission at 8, 26, and 52 weeks for CD and UC and safety profile of the drug was studied. Seventy patients (49 CD; 21 UC) with a median age of 39 (range 13–73) years, male predominance (64.3%), and median (IQR) disease duration of 72 (33–104) months were included. Adalimumab biosimilar was effective in inducing remission (at 8 weeks) in 46.9% and 52.4% patients with CD and UC, respectively, of whom 32.7% and 33.3% (three fourths of remitters) maintained remission over 1 year, respectively. Twenty (28.6%) patients experienced adverse events; seven (10%) were serious of whom three had developed tuberculosis. 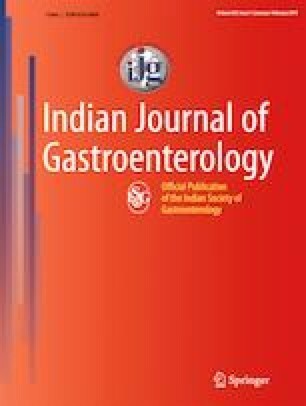 Adalimumab biosimilar in usual clinical practice is safe and effective in inducing and maintaining remission in Indian patients with IBD. Steroid-free clinical remission was observed in one third of patients with UC and CD at 1 year of therapy. NK, SK, UCG, AN, GM, AS, VM, VG, GC and VA declare that they have no conflict of interest. The study was performed in a manner to conform with the Helsinki Declaration of 1975, as revised in 2000 and 2008 concerning human and animal rights. The study protocol was approved by the institutional review board and ethics committee of the coordinating center. The authors are solely responsible for the data and the content of the paper. In no way the Honorary Editor-in-Chief, Editorial Board Members, or the printer/publishers are responsible for the results/findings and content of this article. WHO | Latent tuberculosis infection (LTBI) [Internet]. WHO. [cited 2018 Feb 5]. Available from: http://www.who.int/tb/areas-of-work/preventive-care/ltbi_faqs/en/. Information NC for B, Pike USNL of M 8600 R, MD B, Usa 20894. Case definitions [Internet]. World Health Organization; 2010 [cited 2017 Dec 6]. Available from: https://www.ncbi.nlm.nih.gov/books/NBK138741/.